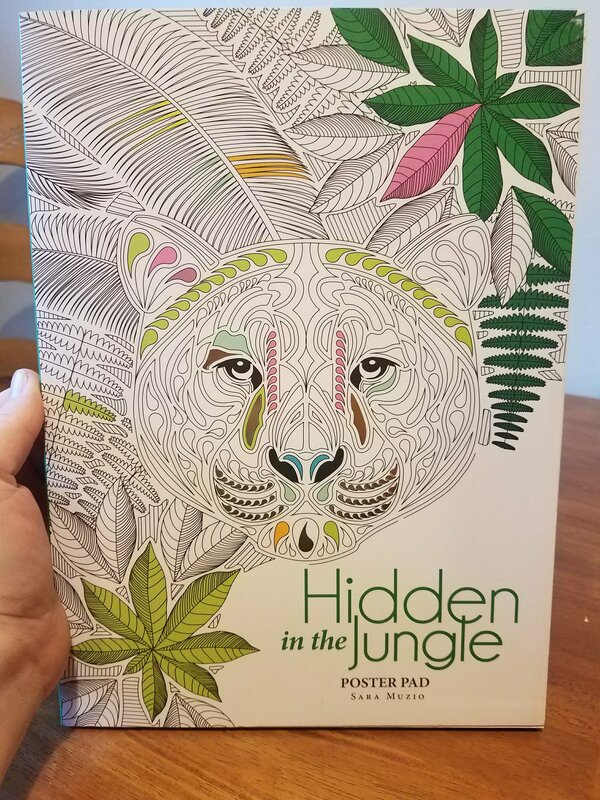 I absolutely love adult coloring books and I have so many I probably will never color them all, but I always see ones that I want so bad. I love coloring books of all skill levels. 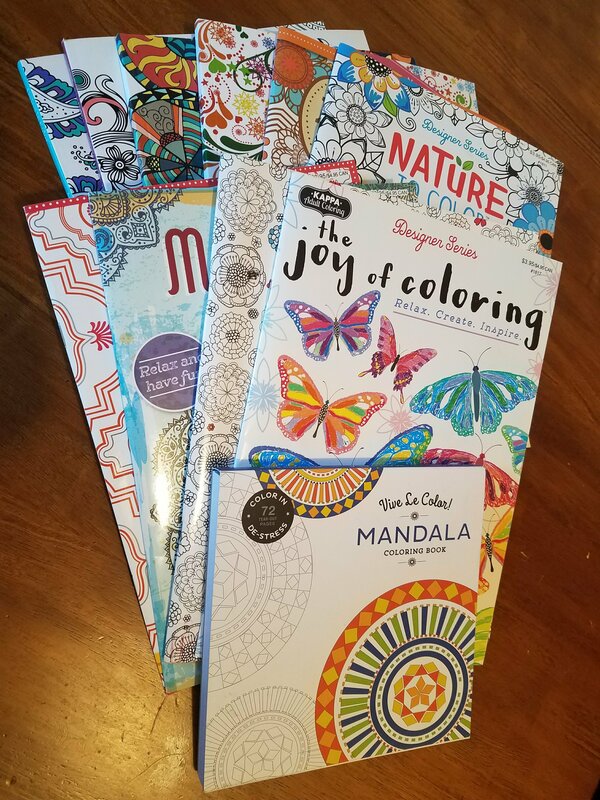 If you want to get into adult coloring books, there are some inexpensive ways you can do this. Dollar Stores: Almost all the dollar stores have a section with adult coloring books. 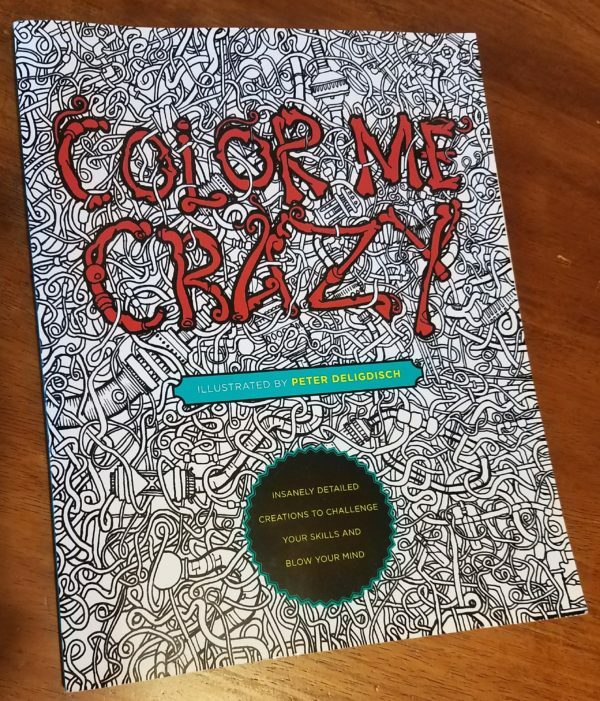 You will look to spend $1-$5 on each book and the quality is very similar to children’s coloring books. The pages aren’t bright white, the images are printed on both sides of the paper and the paper weight isn’t very high. I recommend you use coloring pencils or crayons only. Hollar.com : This is my personal referral link, so if you use it, I do get the same amount that anyone does if they refer someone to the website. I have been using this website for about a year now and they have just grown so much. I probably buy something monthly, at least, from this site. They have an adult coloring book section here too. 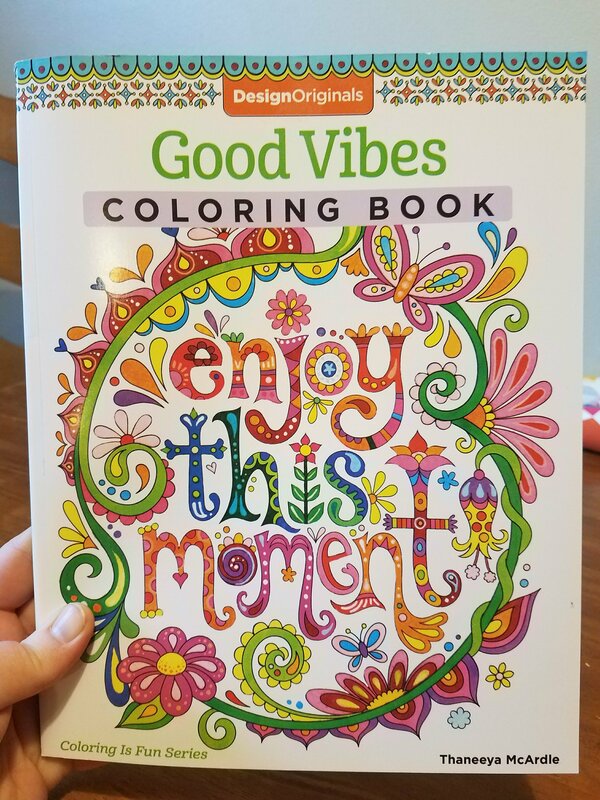 If you buy the $2 coloring books, they are similar in quality to the dollar store ones, however, if you buy the $5 or more coloring books, they are of a heavier weighted paper and you can use pens and maybe even markers as long as the image isn’t printed on both sides of the paper. This collection is growing and ever-changing, so there is something new almost every time I look. I have a lot of these. Massive chain stores: (Target, Wal-Mart, Hobby Lobby, Michael’s, etc.) These stores have a large variety when it comes to coloring books. I enjoy the differences in quality and I love that I can just pick something up when I’m in the mood for something different. The differences are so vast, you will just have to see what will work better for you. Internet: (Amazon, Overstock, Ebay, etc) These websites have a large variety as well. The price ranges are so vast. The only problem I see with this is if you don’t know much about the seller, there are chances for you to get a less quality item than was advertised. However, the prices can be better than the brick and mortar chain stores listed above. Straight from the artist! 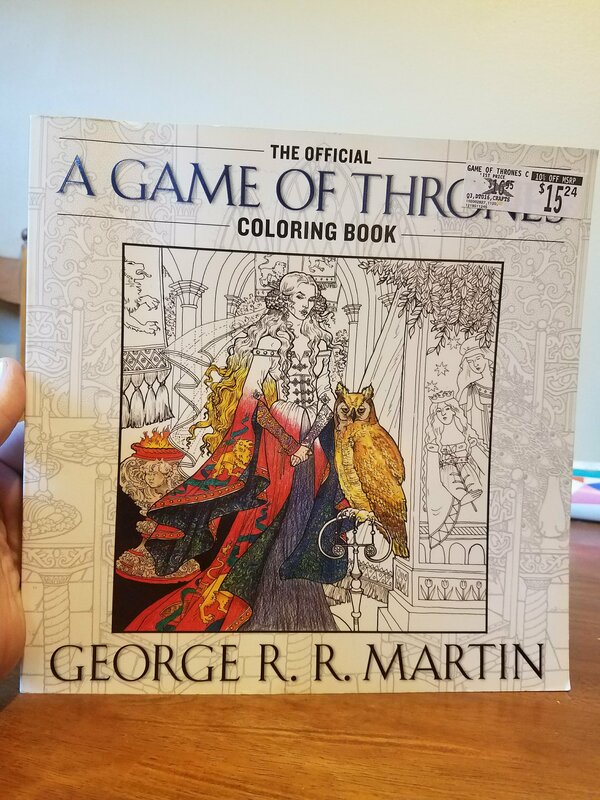 This is my #1 way to get coloring books. Find some artists from all over the world that you can support. Follow them on Social Media and definitely buy their books over the mass-produced ones listed above. I am a huge supporter of the small business artists and I want to support as many as I can. If you know someone you could recommend, I would like to make a running list of these artists and their sites. Although this may not be the most cost-effective way to go, it is the most supportive way to go. 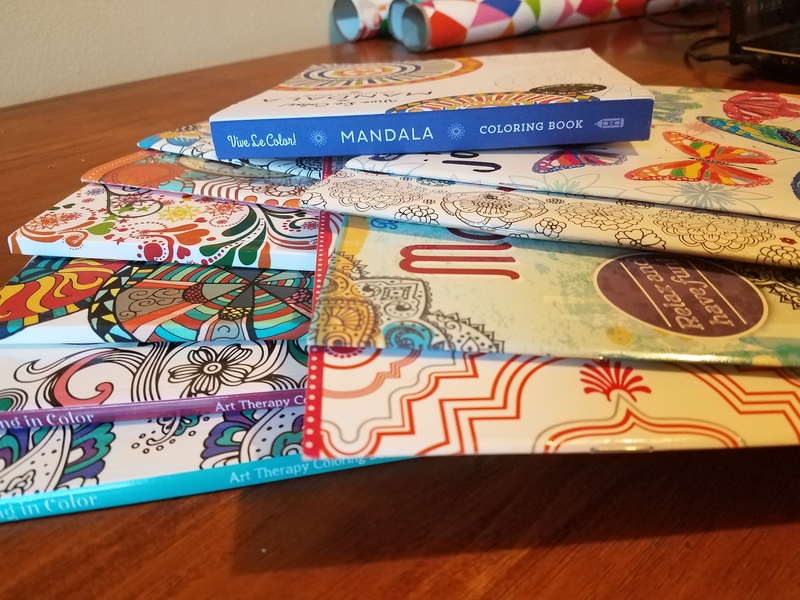 Now, with all that being said, I would love to have your input as to your favorite place to go and get the adult coloring books you love to color in.